The reason I'm writing about it, is because along with having experienced this myself, I'm also tired of feeling low when I hear my friends speak of similar experiences. An experience that is wrecking our self-esteem - the social-media experience. I know I'm a blogger, but I'm also a human being who is not always a fan of social media believe it or not. Now I'm not going to beat around the bush, I don't believe anyone reading this could deny that social-media has some sort of effect on how they have felt about themselves, at one stage or another, whether it has effected you recently, or not so recent. Social-Media is a constantly updated display of the best bits. And being shown the best bit's of friends, business's and bloggers can warp our grasp on reality so much that we begin to doubt ourselves. Doubt whether our lives are constant enough, doubt whether your original fitness goals are big enough, doubt your own sense of style or taste. In simplified terms, we doubt whether our lives are social media worthy enough. 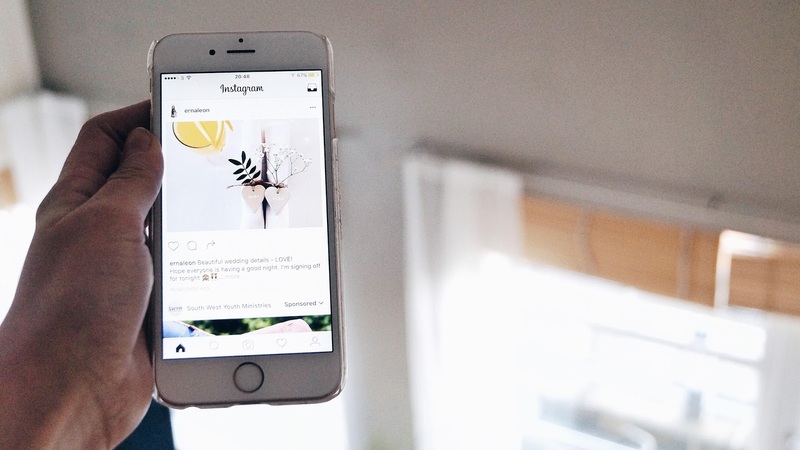 IS your life social-media worthy? Backing up a little - I personally avoided social media for months on end at one stage. I was going through a particularly rough patch self-esteem wise, and social-media was actually making it hugely difficult to overcome. ...ever giving into the monotonous routine of refreshing feed after feed, was making me feel more anxious by the minute. I suddenly felt like I had to prove something. a statement that I felt I couldn't live up to, and that made me feel less than. And if this is you right now - take a social media de-tox. I promise you, you won't miss out on anything, you will only gain. You'll gain perspective and win back your self-esteem. I talked about this in a previous post here. 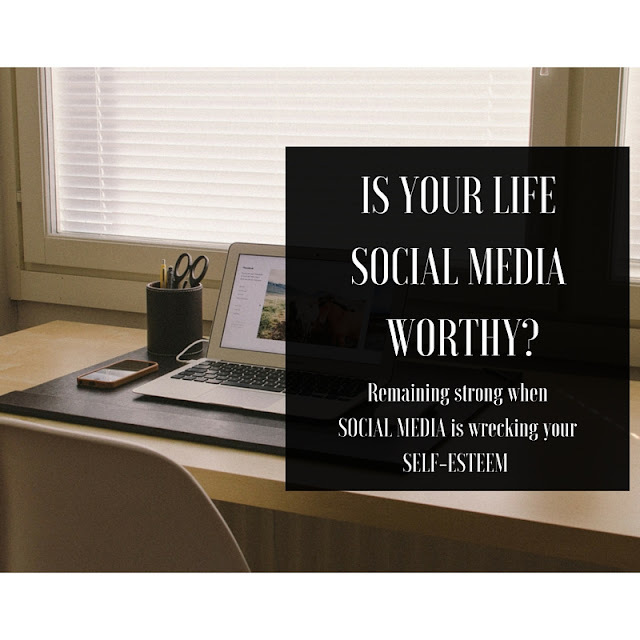 But how do we remain strong when our social media feeds are wrecking our self-esteem? Again I'm not writing this after gathering a heap load of research, I don't consider myself to be an expert advice giver, but I can speak from experience. De-tox those little perfect curated squares, tweets and status updates out of your mind. Share as you please not to please. Remember what social-media originally was a way of sharing your life moments as you wish. Remind yourself of your life for what it is, whether your going through rough times, just rolling with it, or you're living the high life - wherever you are at in life is okay. And whatever moments of it you'd like to share - do it for you, do it to update those friends who are truly interested, or to simply express creativity if thats what you love, but not to please others, to impress others or to gain followers. Don't try to live up to, simply be you. Don't get engrossed, don't let it become everything & remember there are more ways to fill your spare time with. Social-Media is a way of sharing your life, but if you spend too much time on it, you won't have a life to share! SO hopefully that has helped somewhat if you too have experienced what I've experienced. If you'd like to comment, fire away in the comments box below, or send me a message.